Nora Lighting Line voltage gimbal ring track fixture in black powder-coated finish, has 0.03-Inch steel housing for added strength and durability. The track fixture edges are softened for aesthetic appearance. It features 0.085-Inch black finished phenolic high-heat rated plastic baffle that provides finished appearance and helps in eliminating glare from housing interior. The fixture has single plastic angle tightening knobs for maintaining clean, decorative appearance of the fixture that provides secure angle position. It features a medium base porcelain socket. 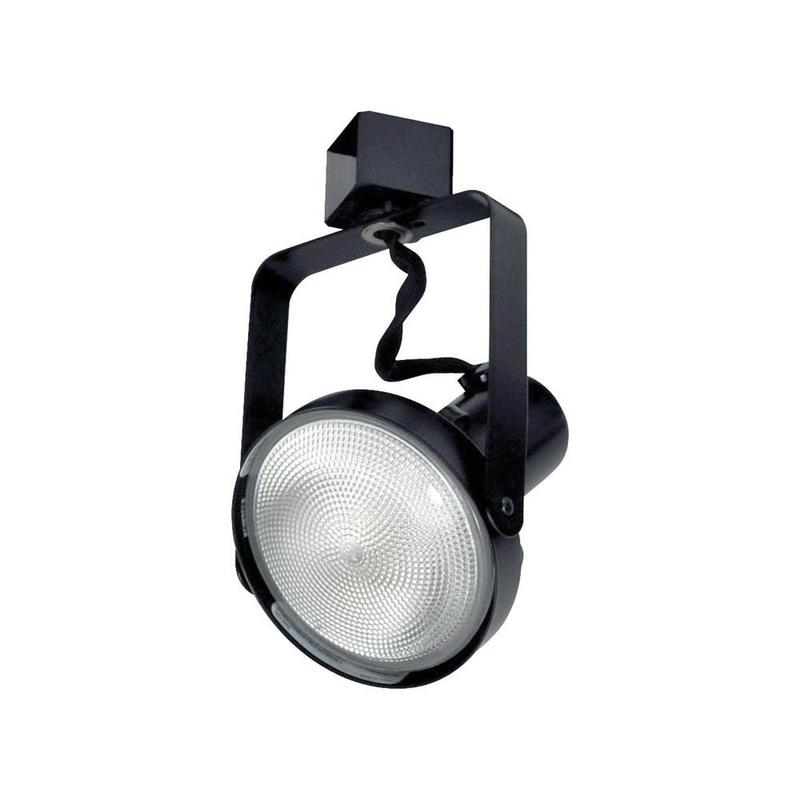 The fixture can accommodate one 75-Watt PAR30 halogen lamp. This 8-3/8-Inch extension fixture has a fixture rating of 75-Watts and voltage rating of 120-Volts. The gimbal ring track fixture is UL listed.